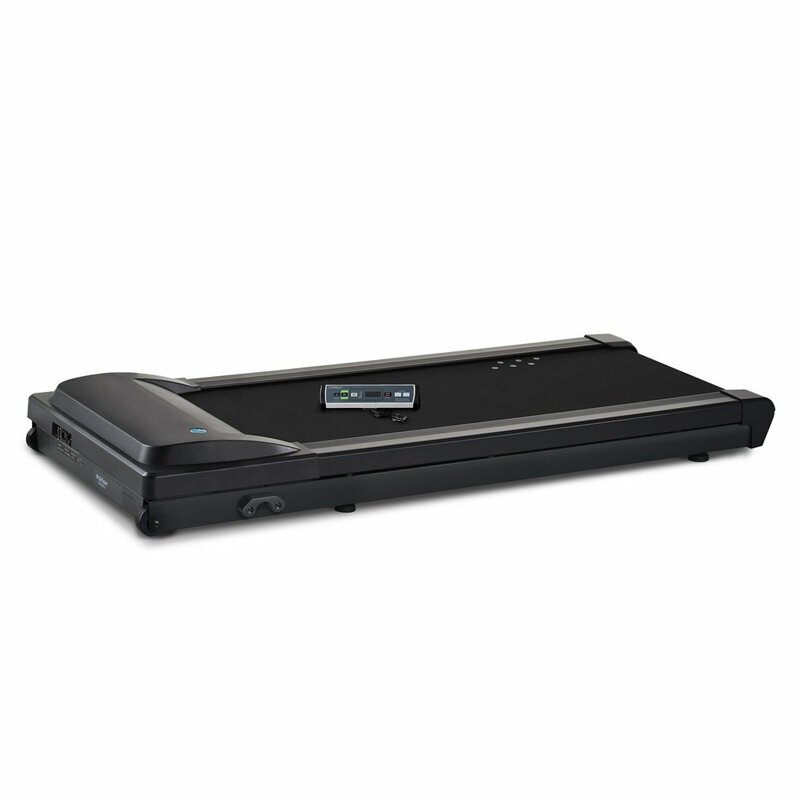 This is a review of the 2013-2014 model of the LifeSpan TR1200-DT3 Standing Desk Treadmill. Its streamlined, contemporary design can be used with most standing desks. The LifeSpan TR1200-DT3 Standing Desk Treadmill allows its user to turn an ordinary standing desk into a running desk to help burn calories and improve general health while working. The slim treadmill is designed to slide easily under most desks. The compact console is small enough to fit discreetly on top of the desk without getting in the way of work space. The TR1200-DT3 Standing Desk Treadmill by LifeSpan Fitness is also blue-tooth enabled and allows users to wirelessly track their activity. Data is synced to the computer using the included free fitness app and free online Fitness Club Membership. It can be used with your existing standing desk, so there is no need to go out and buy a separate one. Customer complained that the motor broke within 90 days and that it was difficult to have the matter resolved through LifeSpan’s customer service. *Note: The last issue has been listed as a con here because stopping would mean it would have to be re-programmed which would mean more annoying beeps. However, there have been improvements made on the 2014 model of the LifeSpan TR1200-DT3 Treadmill which have eliminated that problem. It will now pause after 20 seconds of non-use, which enables you to start back right where you left off. The LifeSpan TR1200-DT3 is an innovative piece of equipment that helps you to get a workout while working at a desk. It is made to the highest standards and the company seems to listen to the complaints of its users and strives to make improvements. There are other companies out there who make this type of product but not all of them include a health membership like the LifeSpan TR1200-DT3 Treadmill. All of LifeSpan’s products are geared for the person who cares about keeping fit, but do not necessarily have the time for a long workout. For all of its pros, the LifeSpan TR1200-DT3 Treadmill has a price that is comparable to the price of similar products from other companies.